Resveratrol is a polyphenol naturally found in the skin of red grapes, certain berries, and some plants. Research has shown that Resveratrol can help to support healthy cardiovascular function and is best known for its antioxidant and cellular anti-aging properties. * Trans-Resveratrol is produced using an innovated yeast fermentation process that results in 98% pure trans-Resveratrol free from contaminants such as Emodin and polycyclic aromatic hydrocarbons (PAHs) which are often found in unpurified extracts derived from Japanese Knotweed (Polygonum cuspidatum). 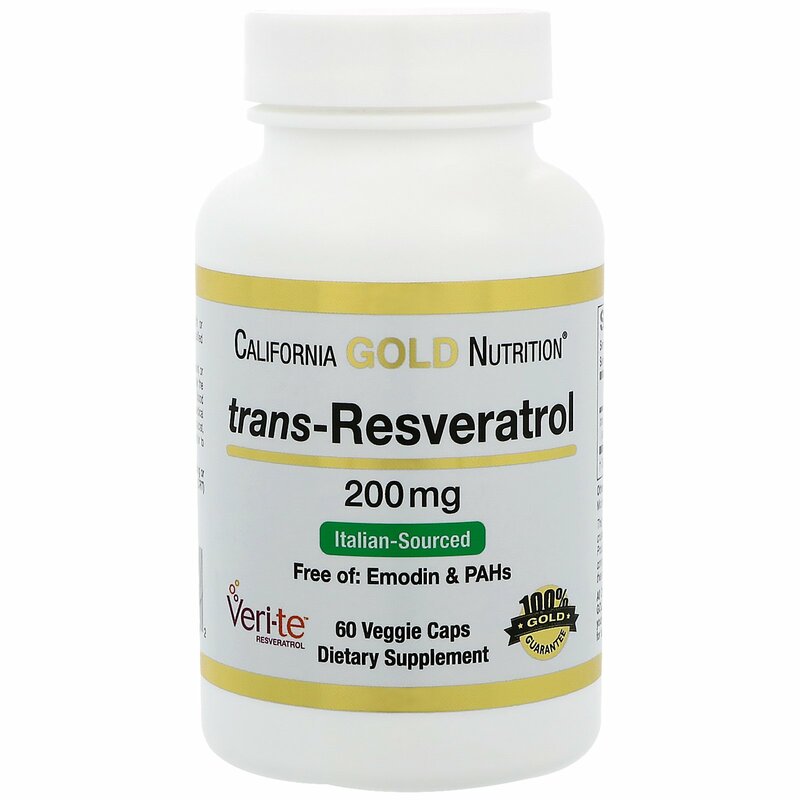 California Gold Nutrition® trans-Resveratrol features Italian sourced Veri-te™ manufactured in the USA and undergoes multiple stages of Quality Control. 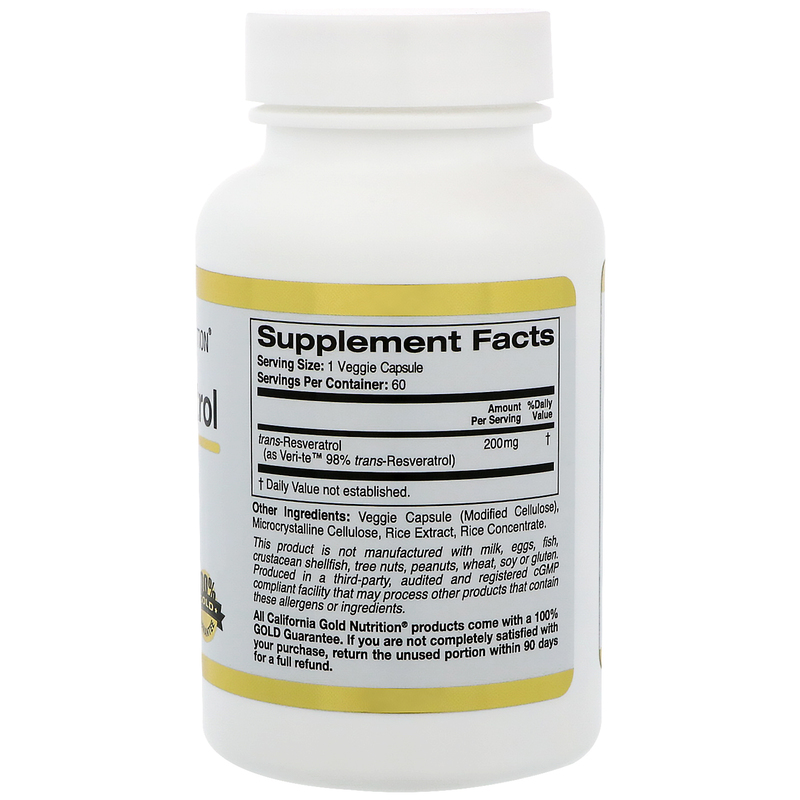 Take 1 veggie capsule daily with or without food. Best when taken as directed by a qualified healthcare professional. 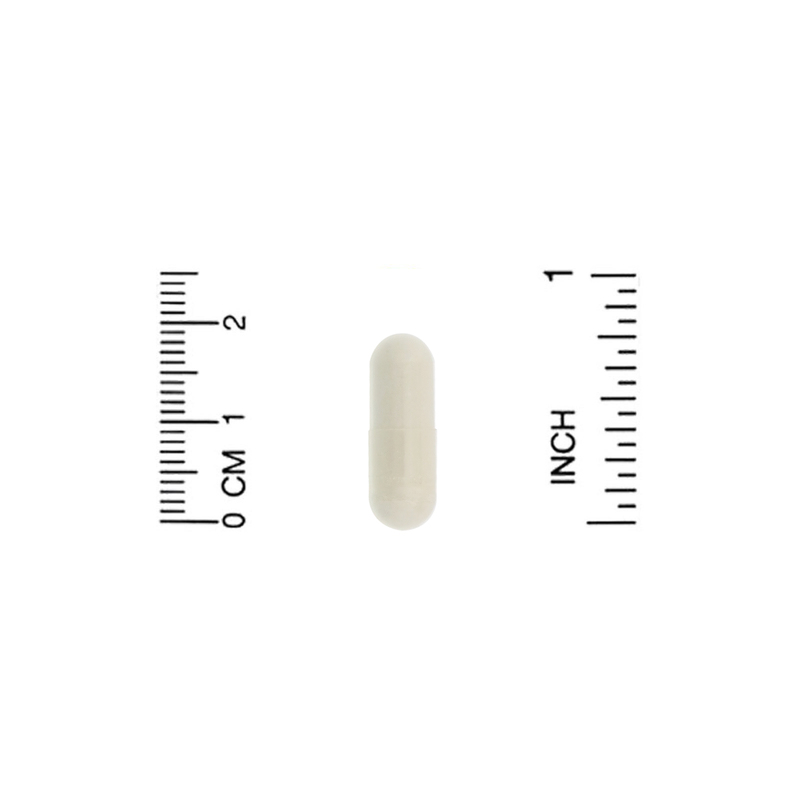 Veggie capsule (modified cellulose), microcrystalline cellulose, rice extract, rice concentrate. Keep out of reach of children. Pregnant or lactating women, the chronically ill, elderly, individuals under the age of 18, those taking prescription medications (e.g., blood thinners) as well as those with a physician-diagnosed medical condition should consult with a physician, pharmacist, naturopath or other qualified healthcare professional prior to taking dietary supplements.